Discussion in 'Latest US & World News' started by Destroyer of illusions, Nov 10, 2018. In fact, Rickards suggests, though not directly, but tying the dollar to gold, providing it with available reserves. 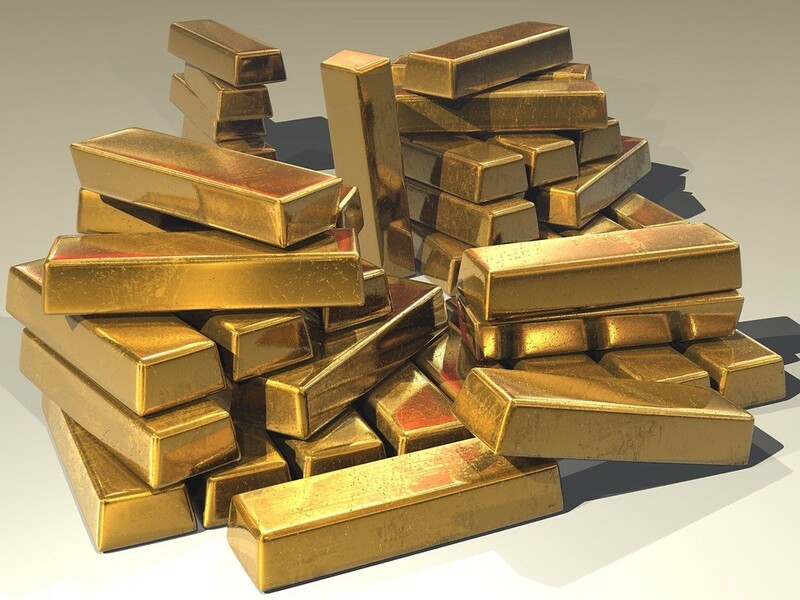 At the same time, the fourfold increase in the value of gold, from the current $ 1,230 to $ 5,000, will cause colossal inflation and a devaluation of the dollar. Personally me, this option seems fantastic, including for the reason that Fort Knox didn’t conduct a normal audit: we can only take on word of US officials who swear by Roosevelt’s grave that gold is completely safe. What is unlikely in reality. You look with what persistence do not allow an audit of gold reserves. In addition, we know how the United States refused the representatives of Germany in verifying German gold held in custody in the United States. And also, you probably remember the scandal with tungsten shipped from the USA, disguised as gold to China in 2009. Most likely the American gold reserve is a fiction. By the way, since you and I are talking about gold, here is another fresh one. The former vice president of JP Morgan admitted that he had been manipulating the precious metals market for 7 years, and not on his own initiative, but at the instigation of government representatives. Apparently, because the United States in reality is the “Naked King” and remains influential only until someone shouts - that the king is naked, aggressive madmen in the White House want to start a nuclear apocalypse. The only salvation of mankind is a powerful weapon of Russia that can cool insane heads in Washington. Striped Horse and Eleuthera like this. Canell and Destroyer of illusions like this. The closer the U.S. gets to going brok the better I like it. It's their desperation that makes them careless and easier to see what they have been up to. The more the rest of the world sees them for the treacherous b'stards they are the sooner we can band together and stop them. And the sooner we stop them the sooner we can achieve peace in the world. Now fraudsters in Washington are trying with all their might to create an external enemy for ordinary Americans. So that people blame not scammers for their economic collapse, but an external enemy. This is the old reception of all financial scammers. Put the blame on the other. And by the way, the same situation was before both world wars. FreshAir and Thingamabob like this. Destroyer of illusions and Thingamabob like this. That's what really kills me. The government is f*ing its' own population and have been getting away with it. This isn't about Trump. It's not about Obama. Nor about Bush Baby Jr. The whole barrel is rotten. When Trump said he was going to "drain the swamp" I guess he decided to drain only a few of them. 22 TRILLION Dollars of debt puts us officially in the poor house. I for one am tired of hearing "tax cuts for the rich" is the reason for the debt. I am far from rich and I got a tax cut. We are in debt because of welfare for votes. Social Security is another problem, not the SS as it was intended but what it has become. Jim Rickards is a gold standard charalatan and a shameless, walking, late night am radio infomercial. You may be right but we AREbroke. I agree. But it will take some time. We have an incompetent and corrupt government. However, we have a strong citizenry. Before the economy goes broke, I believe the citizenry will make things right. Incidentally, I don't think debt to GDP is very meaningful since government spending is a part of GDP. I prefer to measure the ability to pay interest. So far that isn't a problem. Not even close...we just choose not to pay our public debt. Proof of that? Because that is not good! Proof of what, specifically? Without even reducing spending, we could have balanced budgets and then some. You said we don't pay our public debt. I knew that, I thought you meant we don't pay it at all. It's still not good. We don't. We increase it. And pay the interest on it. All you can spurt is absurd codswallop? Your back is against the wall, I see. Isn't this bit from Rickards rather old news? Informative reading, but old news. The U.S. has ~$22 trillion debt. It owes it to the FED. But wait, the FED is an American entity. It's like owing money to yourself. Therefore, if the FED is abolished or even if it is not abolished, the U.S. can simply sigh off that debt with the flick of a button on a computer.